We understand the work that consultants do. This is precisely why we invested in think-cell licenses to bring you the best, most professional-looking charts in your presentations. Think-Cell empowers professional users of Microsoft PowerPoint who are dissatisfied with spending too much time preparing business presentations. think-cell takes the ease of computer-based slide creation to an entirely new level. One of the failings of PowerPoint is its inability to create a convincing data-driven chart. The process is long and repetitive, with a considerable amount of time spent not just creating a chart, but also manually placing labels, importing important graphical elements, etc. think-cell is a powerful charting package that integrates seamlessly with PowerPoint and can be individually customized to solve the above problems. Now, when you entrust your PowerPoint work to us, we can also offer you the multiple benefits of having advanced graphic charts on your presentations. What kind of charts can we create for you using think-cell? 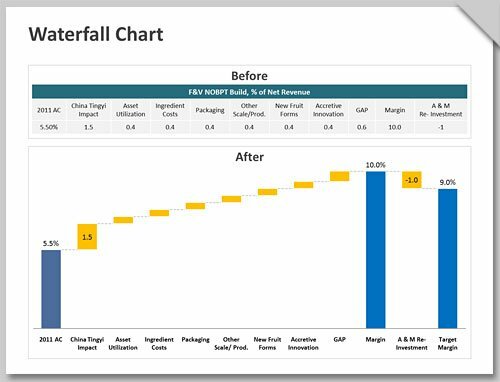 As a consultant, you have always wanted to enhance your presentations with complex charts. However, these charts take a lot of time, back-and-forth between Excel and PowerPoint, and difficulty in editing. Not any more. All you need to do is send us a rough sketch (even a hand-drawn one will do) of the chart you wish to incorporate, and we can create some of the most complex charts including Gantt, Marimekko and waterfall charts. Think-cell allows us to create these charts quickly, and our experienced team is completely up-to-speed working with think-cell. This ensures that your rough sketch is transferred to a professional, accurate, and completely editable graph in the least possible time. Yes, think-cell chart completely integrates into familiar working environments. It is 100% compatible with most file formats of Microsoft PowerPoint and Excel. All charts are created as combinations of PowerPoint shapes and Microsoft Graph charts. So even if you do not use think-cell chart, you can still edit the charts just as you would edit any other chart in PowerPoint. So it offers you the security of always keeping your valuable slides in editable form, even without think-cell chart. 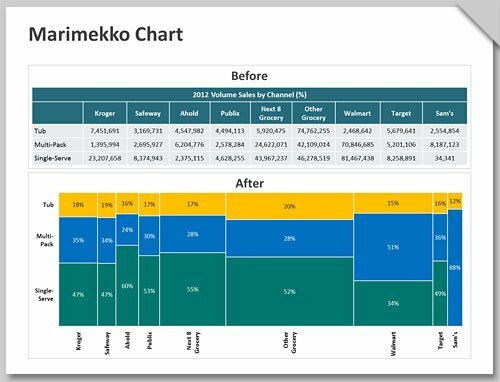 As you must already be aware, if excel data changes after you have inserted a slide in PowerPoint, then your chart is meaningless. However, when we send you a presentation that has a think-cell chart in it, we will send you the corresponding excel file too. Your chart maintains all data links to Excel and moves all chart features for you when data changes. This tight integration fosters consistency and thereby prevents errors. 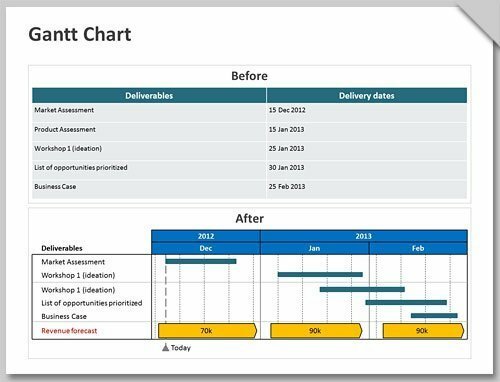 Top-notch consultant group McKinsey relies on think-cell chart as a basic template creation tool for the type of slides used internally. According to this report by a DoD intern at McKinsey, think-cell chart allows the consultant to concentrate his/her time on actual content whilst creating and manipulating any specific chart. These interactive templates are provided for almost every type of chart the firm uses and greatly reduces chart making workload. If you are an individual consultant, we understand it may not work out for you to invest in your own think-cell license. However, now you can still enjoy the benefits of perking up your presentations with complex graphs. Just let us get on the job, and we will have a top-notch presentation to impress your clients. Did you know 24point0 sells ready made editable PowerPoint templates?